Breaking your glass section and having a useless tank is the worst. 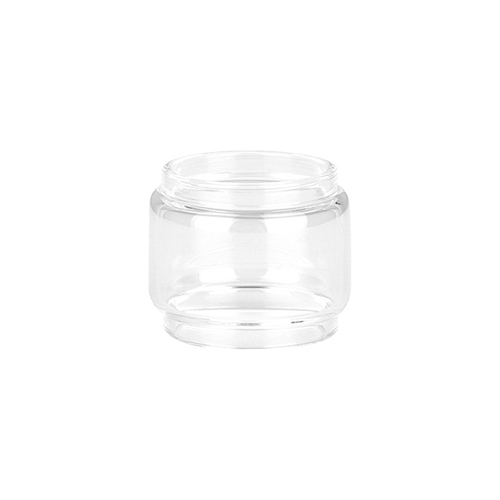 Instead of replacing your entire VooPoo UFORCE tank you can get this replacement bubble glass which has an 5ml liquid capacity instead! Please note the following information regarding the use of connectors with the various UForce tanks, connectors are available separately on our website. If you have the original UForce or the UForce T1 TPD stand alone version you can use the 5ml bubble glass without the need for the connector, or the 8ml bubble glass with a connector too. If you have the UForce T2 tank, which comes with the Drag 2 or Mini kit, you will need one connector with a 5ml bubble glass and two connectors with the 8ml glass.